On February 7, 2018, Second Lady Karen Pence made Chiba City her first stop on the #VPinAsia tour. 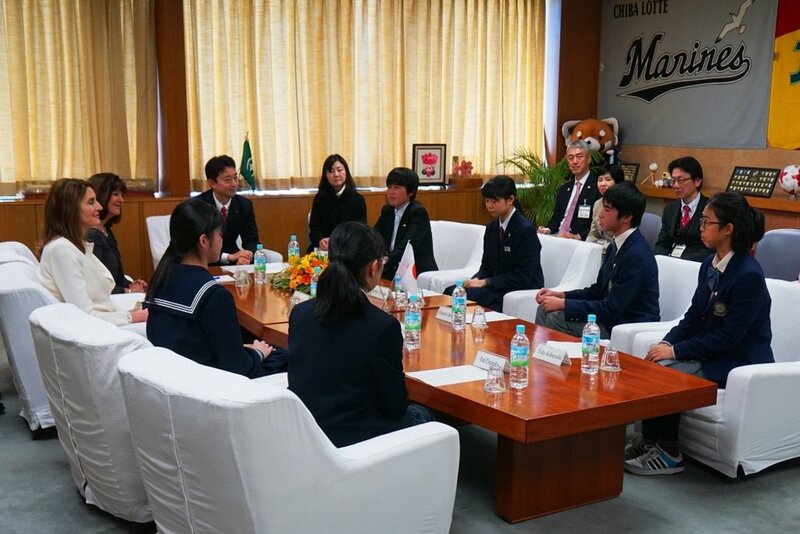 The Second Lady, who serves as Honorary Vice Chairwoman for Sister Cities International, was welcomed to Chiba City Hall by Mayor Kumagai and the 2017 Houston-Chiba Sister City Youth Ambassadors who visited Houston in August of last year. The visit began with greetings from Mayor Kumagai and Second Lady Pence. Following formal introductions, Second Lady Pence engaged the 2017 Houston-Chiba Sister City Youth Ambassadors in casual conversation and photos were taken. During the visit, Mayor Kumagai highlighted the positive impact of the longstanding youth exchange between Houston and Chiba. The mayor also touched on how the “kizuna” bond between Houston and Chiba has been strengthened through mutual support and aid given in times of need. In addition, Mayor Kumagai took care to note that on his most recent trip to Houston last October he was warmly received by the Japan-America Society of Houston and the Houston community. Second Lady Pence recounted how she, at a young age, was introduced to Japanese culture and language through her older sister who spent time in Ota City, Gunma on a sister city youth exchange program. Through her sister, the Second Lady learned the words to 『上を向いて歩こう』, also known as the “Sukiyaki” song, which she happily sang in Japanese. Megumi Tanaka, chaperone of the 2017 Houston-Chiba Sister City Youth Ambassador Program, provided an overview the program. Each of the Youth Ambassadors then shared what they gained from their Houston experience. While the Youth Ambassadors were quite nervous, they all did their best to share their thoughts in English. 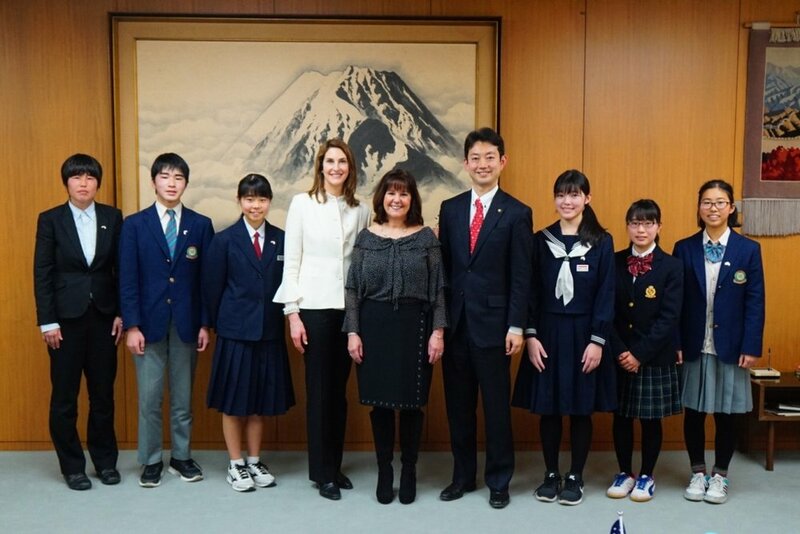 Ambassador Hagerty’s wife, who accompanied Second Lady Pence on her visit to Chiba, stated how impressed she was by the English proficiency of the students. 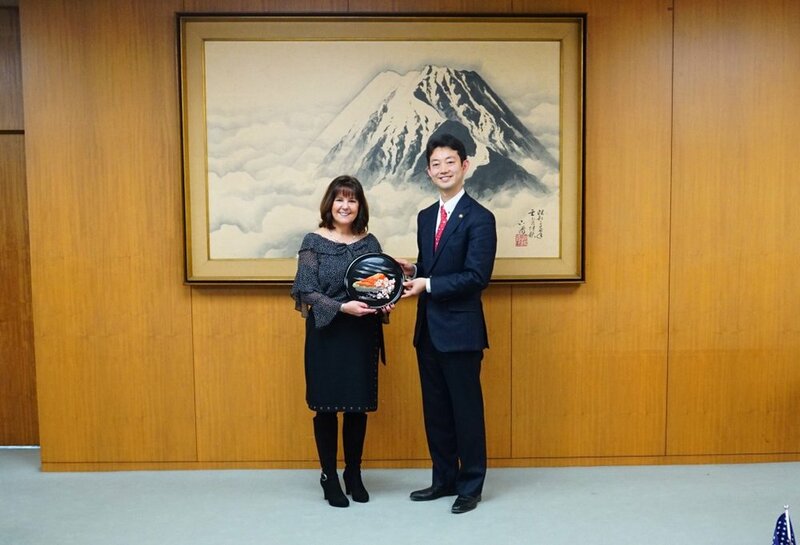 It is quite honor for JASH's work on the Houston-Chiba Sister City Youth Ambassador Program to be acknowledged by the Vice President and Second Lady of the US, and we are pleased that we were able to help make Mrs. Pence’s visit to Chiba possible. Read the White House briefing statement on Second Lady Karen Pence's visit here.